As depression becomes more prevalent, people are searching for natural ways to alleviate its symptoms. Due to its growing popularity, more people are turning to Hemp Bombs CBD Oil for relief from depression, chronic pain, and other conditions. CBD, or Cannabidiol, is a natural compound that has been found to have healing properties when taken regularly. 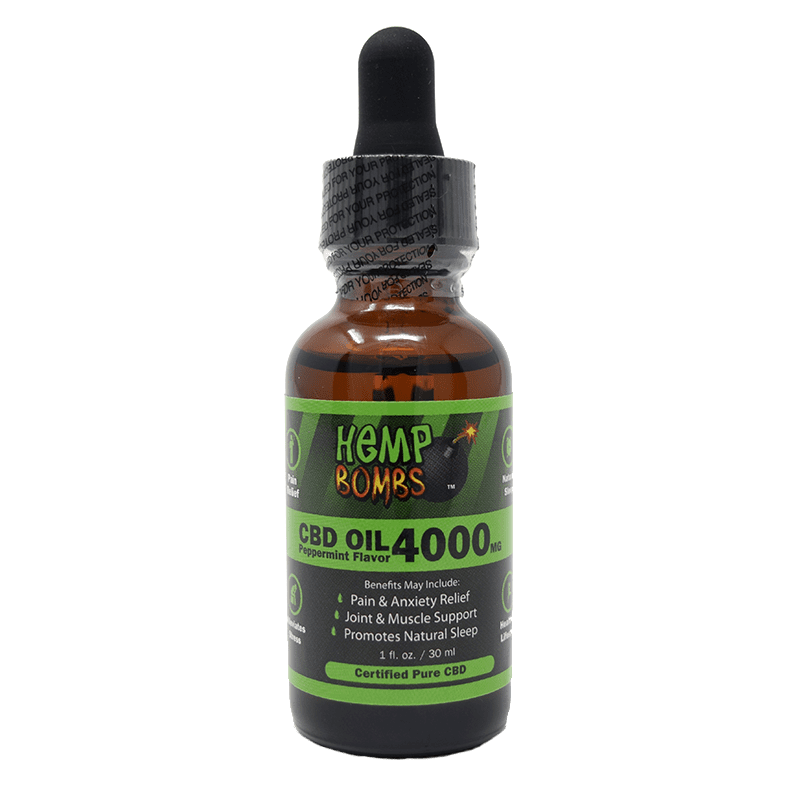 Hemp Bombs CBD Oil for depression can help manage some of the symptoms that depression can cause. We offer one of the most concentrated and potent CBD Oils in the market, and we never use harmful additives. An occasional feeling of sadness due to stress at work or home is normal. Depression is much more severe; it alters your mood, leads to loss of interest in hobbies, and a loss of appetite. In America, depression affects at least 1 in 15 adults per year. If you suffer from depression or know a person who does, it is evident that depression can be an ongoing and difficult battle. Studies show that a primary cause of depression is a chemical imbalance in the brain. While depression is typically treatable, many of the prescribed medications can have adverse side effects such as anxiety and weight gain. Natural supplements like CBD work to alleviate some of depression’s effects, such mood changes and loss of appetite, while bypassing the issues associated with certain pharmaceuticals. CBD is a natural compound that has been found to have healing properties. It interacts with the Endocannabinoid System in an effort to regulate sleep, mood, appetite, and other homeostatic functions. The ECS is a network of receptors and molecules present in all mammals, and it helps make CBD effective in humans. Although CBD is found in both Hemp and Marijuana plants, Hemp Bombs only uses Industrial Hemp plants to manufacture our products. Industrial Hemp contains less than 0.3 percent of THC, as compared to the high levels present in Marijuana plants (5%-35%). Through a CO2 extraction method, we isolate CBD in its purest form and maintain the integrity of the compound. Unlike THC, a compound found primarily in Marijuana, CBD Oil for depression does not have any psychoactive effects and will not get you “high.” In the same way, pure CBD does not contain any THC and will not result in a failed drug test. While CBD Oil does not cure depression, some studies show that CBD Oil can subdue some of the symptoms associated with it. CBD inhibits the breakdown of anandamide (a “bliss” molecule), thus leading to a higher volume of this molecule and a better mood. Our bodies produce their own cannabinoids with the help of Omega-3 fatty acids present in foods like fish. 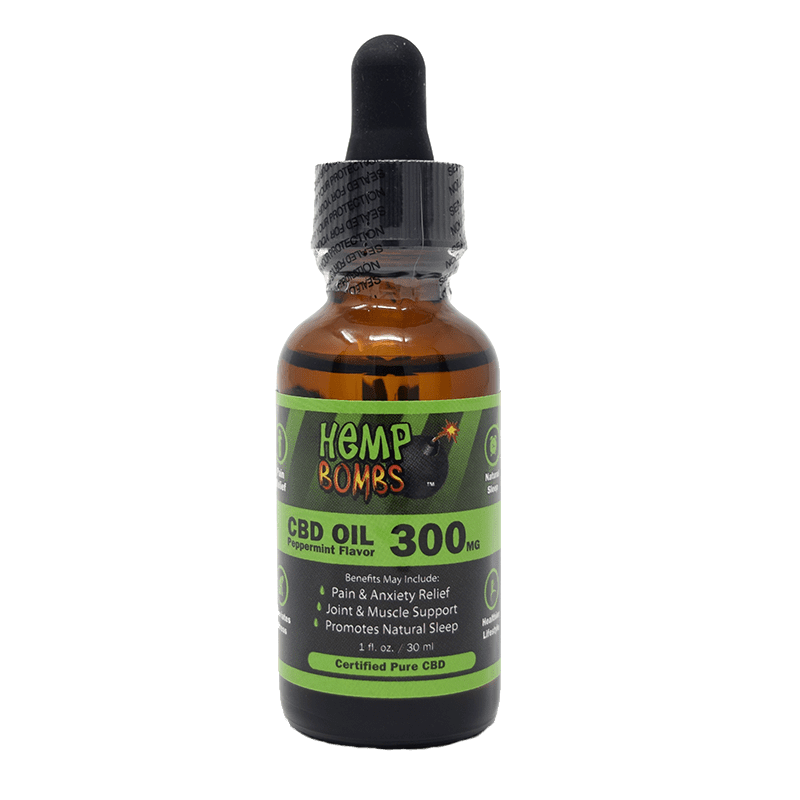 CBD Oil helps supplement the effects of the body’s naturally occurring cannabinoids in regulating functions such as mood, immune system function, sensation, and appetite. In this same way, CBD Oil for depression works to combat a myriad of depressive symptoms such as anxiety, insomnia, and irritability. CBD Oil for depression is ingested sublingually, or under the tongue. Because of the receptors present in this area, your body can absorb CBD Oil easily and quickly. CBD proves more effective when used as a regular supplement. Because CBD affects everyone differently, recommended doses are highly individual and can be adjusted based on how you feel. Generally, a starting dose can range from 5 to 10 milligrams daily. Depending on the results, you can slowly increase the dosage to fit your needs. We recommend increasing the dosage by a small, fixed amount (approximately 2.5 mg) until you experience your desired results. The amount of product necessary can vary based on diet, gender and physical size, so adjusting dosage may take a bit of trial and error to achieve maximum results. When used as recommended, there are no known side effects associated with CBD usage. However, everybody reacts a little differently to CBD, so introducing it to the system slowly will allow for a smoother transition. 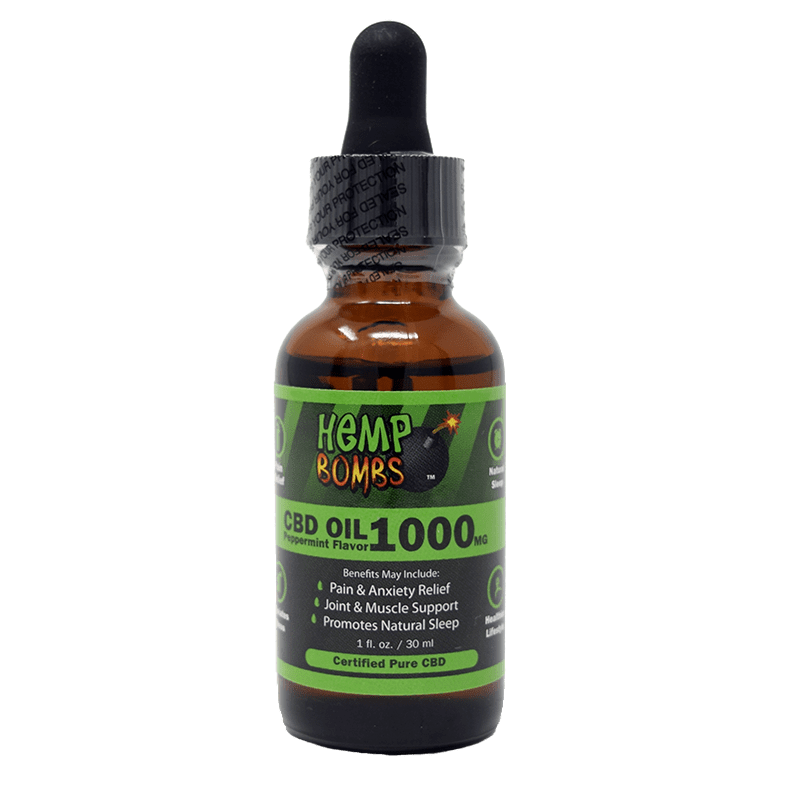 Hemp Bombs CBD Oil is extracted from Industrial Hemp and is 99% pure. We provide the highest quality product to our consumers, with several options to fit your needs. 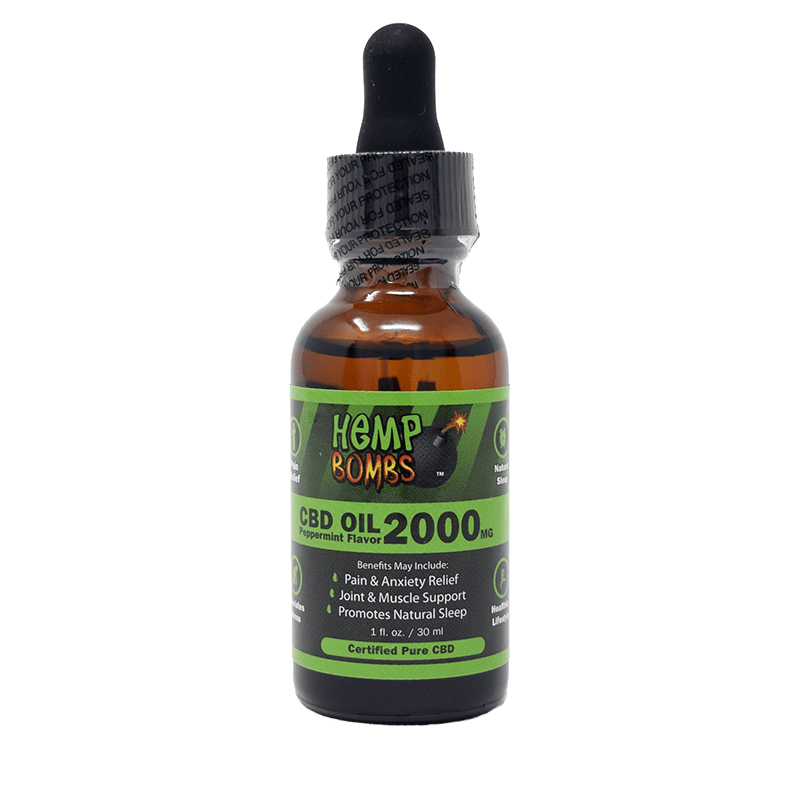 CBD Oil for depression is available in different potencies ranging from 300 mg to 4000 mg, with the choice of peppermint or watermelon flavor. Read more about CBD Oil and the way it benefits the body.